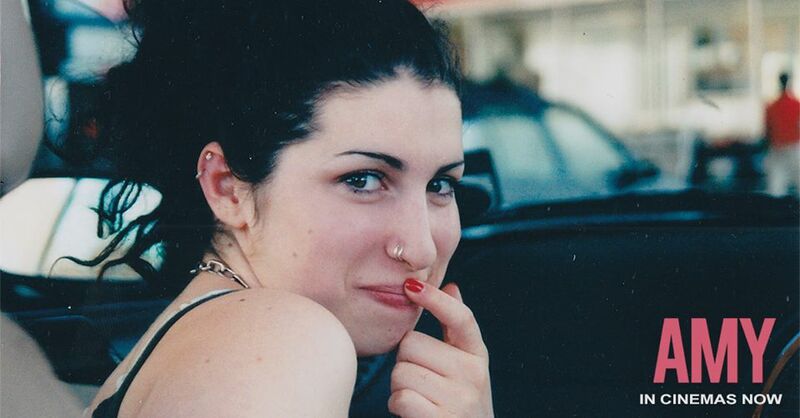 Truthful to her rebel spirit, the documentary “Amy” is a colossal piece of filmmaking. Genuinely good! “Amy” celebrates the brief life of one of the greatest voices of Jazz and Soul ever heard, Amy Winehouse. Her wild and sophisticated image, in addition to the dazzling public fame contrast with her innocence and vulnerability. The linear documentary is very honest, done with good taste and with a great sense of respect for the late singer's image. The beauty of the documentary “Amy” lies in the immense and well-assembled amount of private and public material put together by Academy Award nominee director Asif Kapadia (“Senna”). (l) Jose A. Hermosillo, (r) Asif Kapedia ("Amy," "Senna.") 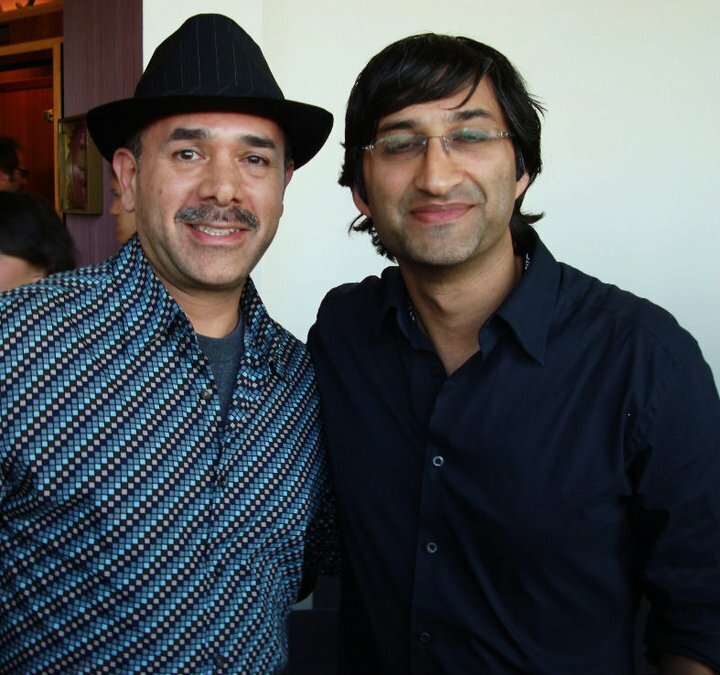 LAFF, 2011.Copyright © 2015 Festival in LA. 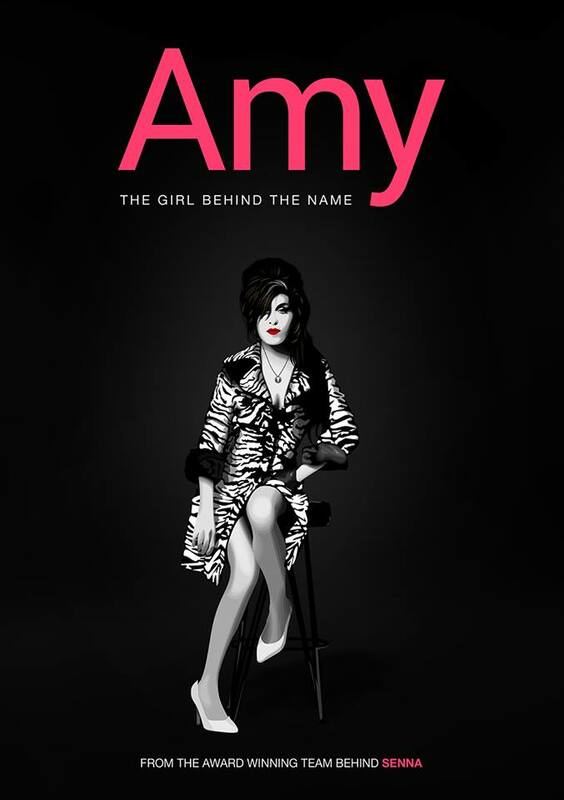 The documentary makes an audacious approach to Amy's life, combining the amazing and rare footage with multiple narrators (close friends, boyfriends, agents, bodyguards, a husband, and her last lover), all of them talking about their experience with the great Diva, creating a sense of multiplicity, giving a deeper meaning to the story. 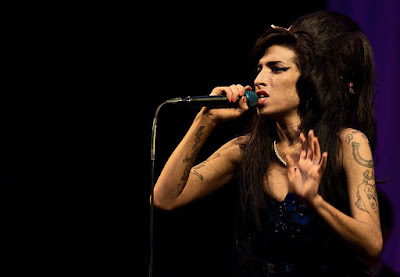 "Amy" innovates with a unique and stunning style by not having a solo narrator, giving more dimension to the character of Amy Winehouse. Impulsive and helpless, Amy's controversy resides on the negative external elements that made her fall in drugs, alcohol, and malnutrition. Her deep vocals and singing style fluctuate between soul, blue-eyes soul, blues, jazz, and reggae. Her debut album was “Frank” in 2003. Copyright © 2015 Universal Music. In 2008, she won five Grammys becoming the first female artist with the most wins in a single night holding the Guinness World Record to be the first British female singer ever win five Grammys in one night. 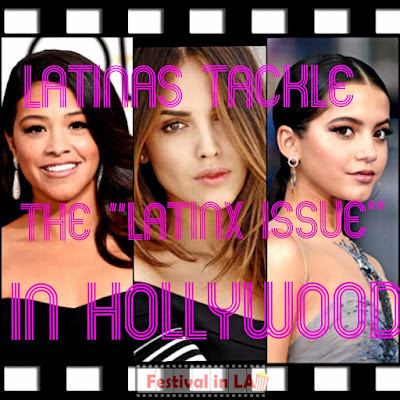 She couldn’t make it to the awards ceremony in L.A. due to a failed drug test required by the American authorities. Her level company held a private party in London. Paradoxically, “Rehab” was one of her biggest hits. Amy's popularity skyrocketed when her private life became tumultuous. 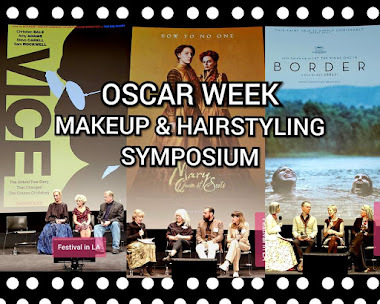 As we see in the film, other elements affected her enormously, such as the media turmoil, her husband in jail, foolish parents, and some of her best friends turned their back on her. The paparazzi, contracts, presentations, and the pressure of her record company made her brief existence a living hell. Was this much to handle when you are on drugs, young, beautiful, and famous? The duet with Tony Bennett, her idol, her inspiration, was very important to her. During the recording, she wanted to aspire to perfection. In her own opinion, she couldn’t perform well enough. The song “Body and Soul” is part of Bennett’s album Duets II, this was her last recording. Her presentation in Belgrade, June 2011, was a complete disaster, she couldn’t put herself together, too drunk to stand still and perform in front of a thousand of disappointed attendees who booed her off the stage. 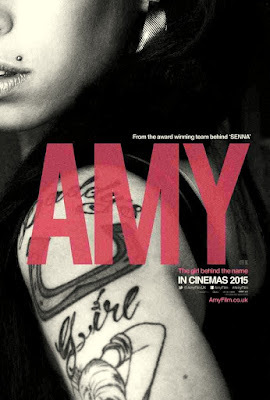 "Amy" is a pleasant biopic to watch, enjoyable from begging to end. "Amy" the movie flows majestically as a narrative feature but is a documentary. 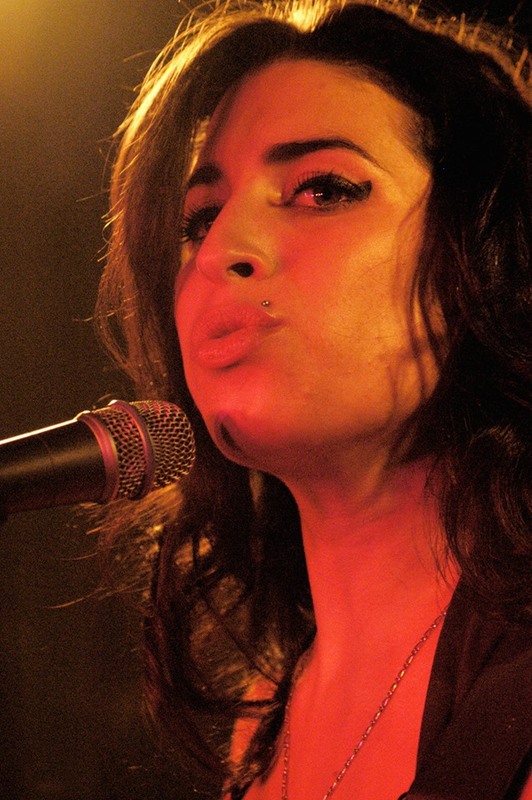 "Amy" is mesmerizing, it makes you a witness of the real tragic life of “the little Jewish girl” from North London. In recent years, two groundbreaking documentaries based on singers won an Oscar: “Searching for Sugar Man” on the subject of the mysterious disappearance of Sixto Rodriguez and “20 Feet from Stardom,” about the voices behind the greatest Rock Stars. Those precedents open the possibility for “Amy” to get the nomination and to lift the statuette at the Awards ceremony in 2016. “Amy” holds the all time box office record for a documentary in the U.K. and it has taken America by storm, becoming an independent success. Not only her fans and followers support the movie, also people who like Jazz and Soul, and others who appreciate good music or even anybody who wants to know more about what really happens in the short life of an enormous singer. Amy Winehouse, we'll miss her greatly, and now we can see her and appreciate her music and her persona any time to our heart's content in the accomplished documentary "Amy"
After reading your review I feel like watching it. It sounds pretty interesting. Thank you so much, the movie is worth it!